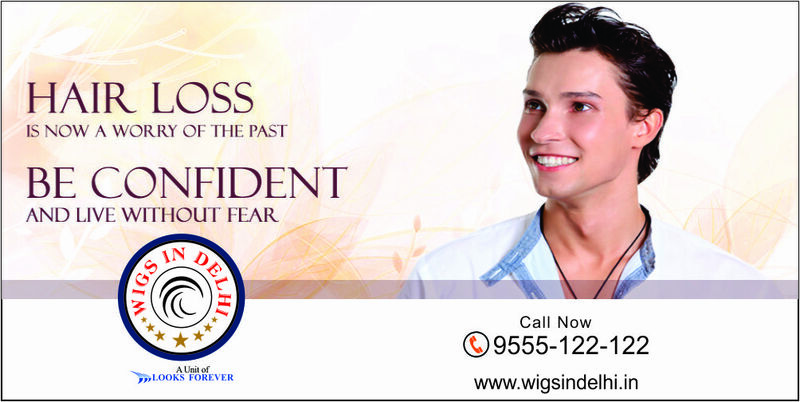 Wigs in Delhi is the Best Non Surgical Hair Replacement Clinic in Noida, Greater Noida, Indirapuram, Uttar Pradesh – 201301. Any Treatment method used for Hair Regrowth has Pros & Cons likewise Surgical Hair Transplant or Non-Surgical Hair Replacement. Non-Surgical Hair Replacement Treatment is the best choice for all Men & Women those who are experiencing dormant phase of hair loss or any phase of baldness or those individuals who would prefer not to go for surgery and in addition need immediate results & desired thickness of hair. Consult our Doctors at Wigs in Delhi in Noida, to know more about Non Surgical Hair Replacement Treatment, for efficient & effective cure before its extreme stage. Our procedure of Non-Surgical Hair Replacement is, firstly, we at first assess exact area of baldness or thinning hairs. Thereafter our patients selects Hair Patch / Hair Unit / Toupee as per their Budget, then our Expert Hair Specialists trimmed out that precise area of baldness and then affix the Hair Patch on the skull and as per the requirement of patient confer the hairstyle along with its volume. 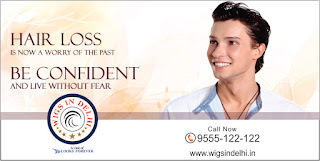 For Best Non Surgical Hair Replacement Treatment in Noida | Delhi or Non Surgical Hair Transplant Center in Noida | Delhi, visit our clinic at Wigs in Delhi in Noida, Delhi, Greater Noida, Faridabad, Gurgaon.